As we close out 2011 and look forward to a bright new year, it’s a good time for a healthy dose of inspiration. And we’re serving it up grandly with stories of women who are contributing every day to the quality of our lives in Coronado. We’ve rounded up a dynamic group of Coronado women who have made a name for themselves and their fields of endeavor. Some have blazed trails for themselves and others beginning in the 1960s and 1970s, a time when women were paid about 60 cents on the dollar for comparable work by men. Today, women have markedly closed that gap, and are chipping away at the “glass ceiling.” This October, Virginia Rometty was named the first female CEO at “Big Blue” — IBM. Hillary Clinton is Secretary of State (as was Madeleine Albright). And Germany’s Angela Merkel, the first female chancellor in that country’s history, is taking center stage in addressing the European debt crisis. Still, only 17 of our 100 U.S. Senators are women, even though women slightly outnumber men (about 50.5 percent to 49.5 percent) of the 312,560,000 people living in the United States. Side note: Sorry to tell you this guys, but by age 85, more than two-thirds of the U.S. population is made up of women. Maybe it’s because, when all is said and done, women are strong. The ties that bind these women? All exhibit traits of resilience, all are optimists, and all are happy — maybe the word should be joyful – about their lives. Without exception, what every one of these women, whom we honor in this issue, brings to their business is passion: passion for their work, passion for serving their clients well and passion for giving back to their community. 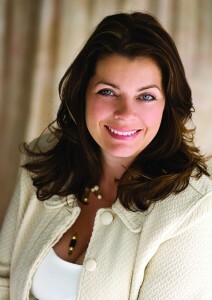 So, sit back and turn the pages, and be prepared to be inspired as we present the 2011 Coronado Women Who Mean Business honorees! Vicki Inghram draws inspiration from Coronado’s waters. Vicki has been successfully selling real estate since arriving in Coronado in 2000. She grew up in Silicon Valley in a very large loving family of six kids (including her twin and a foster brother), grandmother, dogs and cats all squeezed into a tiny house. Vicki’s son, Brad Stark, stationed at Ft. Benning, Georgia is undergoing training for selection into the elite Army Green Berets. Vicki and her husband, Rick, a retired 31-year Marine colonel, have 35 nieces and nephews, “so we run an unofficial B&B here,” Vicki laughs. “In fact, our lovely niece, Melody, lives with us. She is a nurse at Rady’s Children’s Hospital and we love having her,” Vicki says proudly. Describing herself as absolutely committed to making her clients’ future “bigger and brighter than their past,” Vicki ensures that outcome by skillfully crafting an individualized strategic plan of action for every person. After graduating from USC with a bachelor’s degree in biology and minor in physiology, Linda worked for 15 years in the fitness industry in Los Angeles, teaching and managing, and built a reputation. While seeking out a new home for her fitness clients, she met this “adorable, nice French guy,” and soon was renting space at Jean Pierre Marques’ Health & Fitness Center. 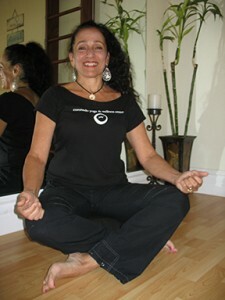 Jean Pierre introduced her to yoga and martial arts. Linda and Jean Pierre’s friendship blossomed into romance; five years later the couple married. In 1989 they were invited to the world-renowned Canyon Ranch in Tucson where, for the next 11 years, Linda served as Fitness Director, responsible for 60 instructors and 400 weekly classes. Jean Pierre was Director of the Spiritual Awareness Dept. Today, Linda, is a Master Level Kitaido Yoga Instructor, Tai Chi Instructor and Second Degree Black in Karate. She teaches 15 to 20 classes a week along with private lessons. She manages the day to day business, which includes classes in yoga, tai chi, meditation, tai chi, Healthladder Body Sculpting, workshops, teacher training and yoga retreats. “Our students leave their worries outside the room when they come in. And we teach them to listen to your bodies. The secret to yoga, she says, is that yoga takes the whole person into consideration — mind, body and spirit — which leads to a healthy, more balanced life. Arthur discovered marathon running in 2002, and found that the intense sport was what she needed to recover from the grief she experienced with the death of her first husband, Michael Sandrock. She has since run 26 marathons, and in 2010, completed her goal to run a marathon on each of the seven continents. In 2010, Natasha married George Arthur, a retired Naval aviator, in Australia, after running a marathon on the seventh continent. The couple purchased Coronado Island Fitness in August 2010, and spruced up the space (located behind the Brigantine), adding lighting and a waterproof awning to the outdoor exercise area. Of course, Natasha organized a running club, and added new classes, including “QuikFit,” a 30-minute strength and conditioning four-times-a-week regimen that comes free with gym membership. There’s also a Men’s Fusion for guys in the 40-and-up age range, and “Fab Fems” for the ladies. Natasha’s father was in the Air Force, and she lived in Europe for 20 years before moving to San Diego in 1998. With a certification in human resources management from Chapman University and a certified PHR and CCP, Natasha has worked in the HR field since 1990, and is currently the HR Director with CAVU Consulting, Inc., a defense contractor. Natasha always carries “homeless bags” in her car, with shaving kits, socks, toothbrush and toothpaste, a T-shirt, Pro Bar, sunscreen, and list of resources. Now the Arthurs have also established a 501(C)(3) foundation, the OurGenesis Foundation, to raise money for people who are hungry all over the globe. Coronado Island Fitness | 1331 Orange Avenue (behind the Brigantine). It was 1970 when Mary Ann Berta and her husband Jim arrived in Coronado with their Midwest family values and work ethic intact in their hip pockets. Jim was in SEAL training at the time and, in ’75 became a SEAL reservist, while working as an ironworker. Mary Ann discovered the world of retail, beginning by working for one of San Diego’s most popular gift stores, The Gingerbread Cottage. Shortly thereafter, she and Val Willis established The Country Peddler, in La Mesa and brought the gift store concept to Coronado in 1982. Soon the Hotel del Coronado invited the women to open a shop on their premises and they established a retail niche to appeal to the Del’s well traveled clientele: Ribbons & Roses featured lingerie, Victoriana gift items and selected casual clothing with a light, romantic feel. With Val headed off to management with the Del, Mary Ann became the sole owner of Ribbons & Roses; eventually she changed the store name to “La Mer,” (the sea) and expanded her clothing and accessory lines. But one store was not enough for Mary Ann. 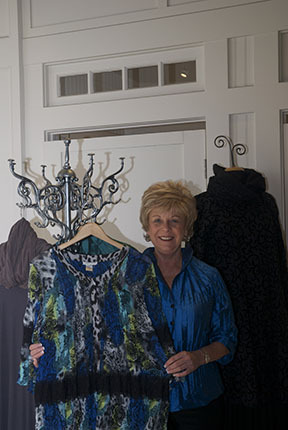 In 1998 she and partners Casey Aegerter and Jenny Freel established “In Good Taste,” a gourmet gift shop next to Lamb’s Players Theatre in The Spreckels Building. Although she says “I never thought I would be in the food business,” ten years ago Mary Ann, Jenny and talented pastry chef Barbara Massey opened Tartine, one of Coronado’s most popular cafés. “I said, “Okay, girls, I’ll be out front but I’m not going back to cook.” Hence, you’ll often find MaryAnn greeting guests in the evening. Back in 2004, Debi Boney ran into her former landlords, Jim and the late Barbara Darnell, while shopping at Henry’s market in San Diego. 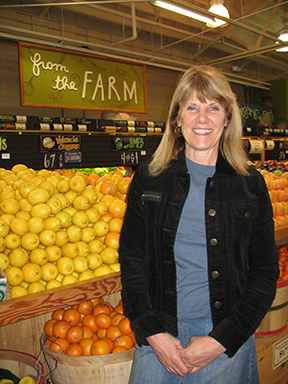 Debi and her former husband, Steve Boney, had operated a natural foods store from 1979 through 1980 on the same site, but it was smaller, didn’t have a meat department and, says Debi, was not successful. “Coronado wasn’t really ready for the concept back then,” she believes. Debi and Steve opened their first natural foods store in Lakeside in 1975, then a bigger store at College and University. “The Boney’s, including Steve’s father, Henry, had been in the grocery business for years,” Debi said. Today Boney family members own Sprouts and Windmill Farms stores, among others. Even Henry’s markets were originally owned by the Boney family. suspicions that Coronado was now hungry for a store that offered fresh, wholesome foods, including organic choices. Debi Boney, who holds a bachelor’s degree from Point Loma Nazarene and a teaching credential from the University of San Diego, has always had a strong work ethic, whether working with fourth and fifth grade gifted students at Village Elementary or with her staff of 60 at a thriving grocery business. You’ll spot her making sandwiches in Boney’s popular deli in the wee morning hours and ringing up customers in the late afternoon. Boney’s just acquired the parking lot across the alley from the market, adding 17 spaces to keep up with customer demand. After six years, the store is operating comfortably in the black. Carolyn Crane CCRM, California Certified Residential Manager, Crestmont Property Management, Inc.
Carolyn Crane is the Broker / Owner of Crestmont Property Management in Coronado, providing property / asset management services for homeowners and renters throughout San Diego County. Now, she definitely works weekends! “Prospective renters most often want to see properties on weekends, not during the week,” she says. For homeowners, Carolyn works to find responsible tenants. Carolyn and her team are always accessible, to handle maintenance and emergency issues through the use of licensed and insured contractors. 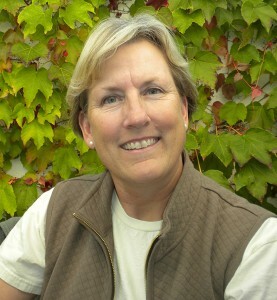 Carolyn moved to Coronado in 1992 and began working with a real-estate firm that handled property management. When Carolyn joined Prudential California Realty as a broker associate in 2008, she formed Crestmont Property Management to continue representing her clients. Her property management office on Isabella is just a half block away from Prudential’s Orange Avenue real estate office. 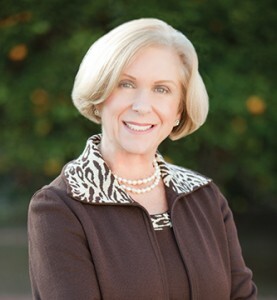 Carolyn is a member of the Women’s Council of Realtors (WCR), and the Coronado Chamber of Commerce. She is also certified as a Senior Real Estate Specialist (SRES) and Distressed Property Expert (CDPE). She is an avid reader, particularly on the subjects of history and politics. She is looking forward to volunteering in the 2012 election. Carolyn enjoys gardening (she’s a member of Bay & Bridge Garden Club) but today her “garden of grandchildren,” ages 4 to 13, is what’s really growing. They’re always eager to visit their grandma (and the beach) in sunny Coronado. Maybe it was destined that a girl named Laura Lee Rose would become involved in the world of floral design. Laura Lee Rose, now Laura Crenshaw, is co-chair for the third year, along with her husband, Rob, of the Coronado Flower Show, the largest and oldest annual event in Coronado. She also is a Master Judge, the highest level of judge, for flower shows and has judged numerous shows throughout San Diego County and up the California coast. Crenshaw is a fourth-generation Californian who moved to Coronado in 1943 when her father, Hubert Lee ”H.L.” Rose, was an aide for Adm. Charles Buchanan. As a youngster, Laura lived for a time on the North Island base; in 1958 the family built a home on the bay side of First Street. The seeds for business, artistic pursuits and community involvement are part of Laura’s DNA. After his Navy ser­vice, H.L. practiced law in Coronado. He was president of Coronado Rotary, president of the Navy League, and Chairman of the Board at Coronado Hospital. Laura’s mother, Mary Edna, headed the Coronado Arts Ball and was active with the San Diego Watercolor Society. After graduating from Coronado High School, Laura obtained a bachelor of science in microbiology from the University of Arizona, became a licensed medical technologist, married (and later divorced) and had two daughters. Her career included positions at Sharp Hospital, San Diego Blood Bank, hospitals in the San Francisco Bay Area, Scripps Green Hospital and San Diego’s Children’s Hospital, where she managed the entire laboratory. She also supervised the toxicology department for a large drug-testing lab in San Diego. Along the way, she earned a masters in business from the University of Redlands. And, believing that “women are entitled to more than one career in their lives,” Laura obtained a paralegal degree from University of San Diego and worked several years with the law firm of Callahan, Little & Sullivan. Laura became involved with the Flower Show, particularly the design section, after joining Crown Garden Club in 1995, and subsequently served as the club’s president and worked in the Flower Show’s design sections. She and Rob, her former high school sweetheart, reconnected late in life and married in 2004. Flowers may be a hobby, but Laura has approached the Flower Show as a business, working year-round with a committee that organizes the show with a business savvy that makes everything, including gate receipts, come up roses. Now Coronado Bliss is making new memories for this dynamic mother/daughter team and their clients. When Alexis graduated from Point Loma Nazarene University in 2009, she realized her first love was cosmetology. “I was always the one who did my girlfriends’ makeup in high school,” she shares. “I think it was my sister’s influence.” Cindy’s older daughter, Stephanie, who lives in Maryland, is a hairstylist who trained at an Aveda Institute. Cindy and Alexis began exploring Aveda and realized that its mission statement, “we care for the world we live in, from the products we make to the ways in which we give back to society,” resonated with them. They decided to associate with Aveda at its highest level as a full Aveda lifestyle salon. The salon features a full retail boutique, plus cosmetics, hair styling and body services in a serene environment with blue hues reflecting the surrounding sea. And, like Aveda, Coronado Bliss gives back to its community, donating to more than 15 local charities over its first year. Jill Hardman is the youngest of five daughters raised on a 1,200-acre farm near Columbus, Ohio, where “I could feed a baby lamb, bale hay and rope cattle,” she says proudly. Young Jill began painting and drawing nature scenes with encouragement from her maternal grandmother, who framed some of her art. “She validated me,” says Jill. Jill majored in art at DePauw Uni­ver­sity and did graduate work at the Sorbonne in Paris. She arrived in Coronado 37 years ago, soon opening her gallery and framing business. Today, Jill has filled her gallery with works by artists from all parts of the world, some who have been with the gallery for over 25 years. 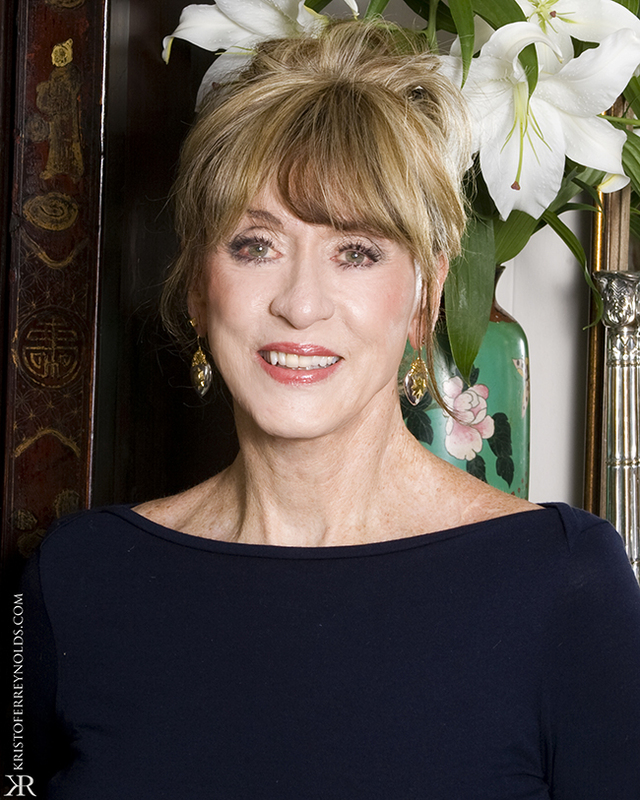 Jill has been a pioneer in the art field, and was the only woman founder of the Professional Picture Framers Association (PPFA) of America, where she has received many first-place design awards. Today, PPFA has thousands of members who share ideas, technology and best methods of design and conservation. 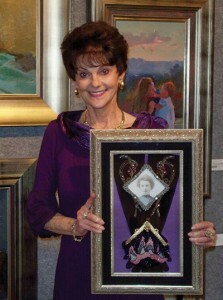 Jill gets great satisfaction from restoring clients’ cherished paintings and photographs. The gallery has restored many museum pieces, as well as sentimentally valuable pieces over the last 36 years. Philanthropy is important to Jill, and she has donated thousands of dollars in art and framing services to charities throughout Coronado, including the Chamber of Commerce, MainStreet and Coronado Hospital Foundation, as well as Paralyzed Veterans of America. When the Hotel del Coronado called Ruth Ann Fisher in 2008 with the invitation to establish her own real estate company on their property, it was a dream come true, she says. 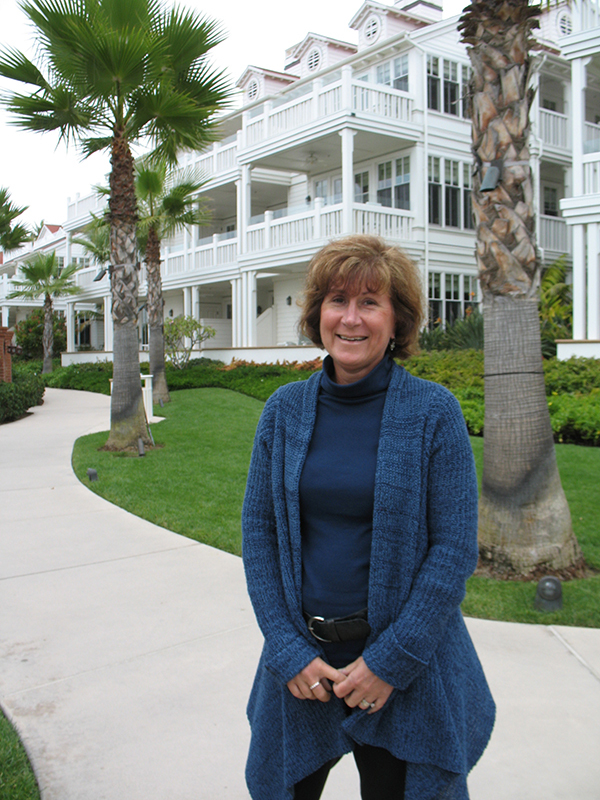 The Hotel del Coronado needed to have a real-estate broker on-site to handle sales for its new Beach Village, which Ruth Ann’s company, Del Realty, oversees from its two offices at the “Shops at the Del” promenade and at the historic Oxford Building. But Del Realty also remains an independent real estate company, handling home sales throughout Coronado and beyond. “It’s an incredible benefit for all my clients to give their properties exposure to more than 400,000 high-end guests who stay at the Del each year,” Ruth Ann says. 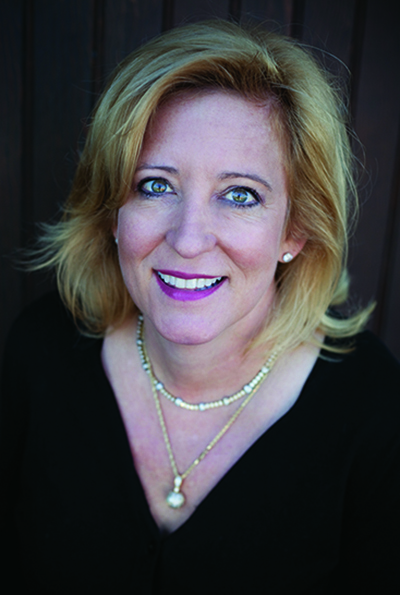 Ruth Ann also was recently named Chairman of the Coronado Chamber of Commerce Board of Directors, where she assists in formulating and promoting the chamber’s benefits to the city of Coronado and community at large. Ruth Ann’s community service has also included active involvement with Coronado schools, where she served as president of Village Elementary School’s PATT, on the Coronado Middle School site council and was twice the Silent Auction chair for the annual Coronado Schools Foundation telethon. 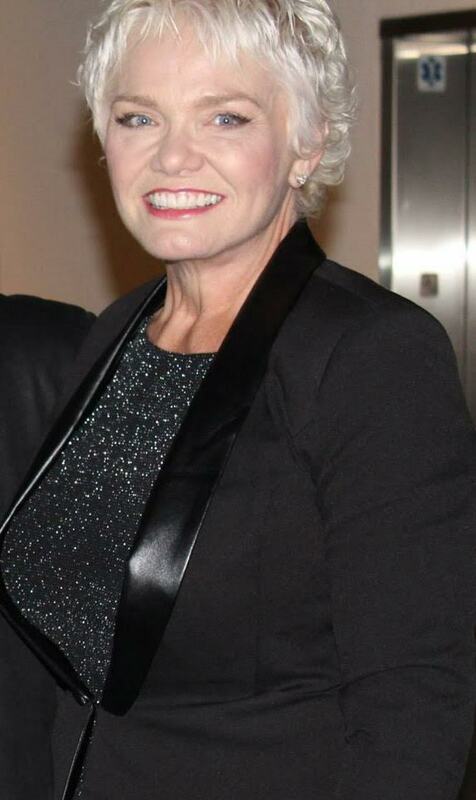 Her real-estate career builds upon her years of experience in banking, particularly mortgage and audit appraisals including REO properties and foreclosure activities in Pensacola and Jacksonville, Florida, two cities where her Navy husband, Mike Fisher, now a retired lieutenant commander, was then stationed. Eventually Mike was transferred to Coronado, and with their two children in school, Ruth Ann entered the real-estate profession in 1999, working with two of the city’s largest real-estate companies. Sheryll Jackman has just returned from yet another trip to High Point, North Carolina, the furnishings capital of the nation, and she is excited to incorporate the new trends and products at Seaside Home, her furnishings specialty store in La Jolla. Housed in the former Sak’s Fifth Avenue’s flagship store for San Diego County, the new Seaside Home location displays world-renowned furnishings and accessories in lifestyle vignettes that both delight and educate a countywide clientele. Earlier this year, Sheryll consolidated all three Seaside Home stores into the new center, doubling the total square footage. Seaside Home is just one outlet for Sheryll’s many talents. In 1976, she and husband Harry Jackman founded The Jackman Group, a Coronado-based multi-disciplinary firm that has designed and built many of Coronado’s most distinctive homes, along with numerous commercial remodels, including the Spreckels Building and La Avenida inn, restaurants and a retail center. Both the Spreckels and the La Avenida projects received the city of Coronado’s highest award for design, the Golden Hibiscus. A graduate of the Design Institute of San Diego and the College of Appraisers in Placentia, Calif., Sheryll holds a general contractor’s license and real estate brokers license. She is a past president of the American Society of Interior Designers, San Diego Chapter, and served three years on the association’s National Ethics Committee. She was a founding board member of Coronado MainStreet, and was appointed by the Coronado City Council as one of 12 members of the Business Areas Advisory Committee, a group directed to conceive and promote a master plan for the business areas of Coronado. Sheryll is the proud mother of four grown children, Brent, Josh, Caylee Pinsonneault and Jori Jackman Fentiman, all of whom have worked with the firm at different points in their lives. Margaret began working with her father, David Herring, at his law firm in Downtown San Diego in 1989, beginning as a “temporary” receptionist. She never left, and next February marks 23 years of working with her father. 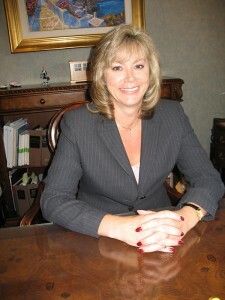 In late 1989, Margaret became the firm’s paralegal, after graduating from paralegal school at the University of San Diego. In 1993, seeking a greater challenge, Margaret enrolled at Thomas Jefferson School of Law. She graduated in May 1996, and passed the California Bar exam that summer. Previously an employee, she became partners with her father in 2003, and they moved their practice to Coronado in 2006. “When I started paralegal school, I had a six-month-old. When I started law school, that baby was 4 ½ years old and again I had a 6-month-old,” she relates. “I have always worked full time and gone to school in the evenings, all with small children at home.” While in law school, she was also a single parent. “I get frustrated when I hear a young woman say that she cannot accomplish things due to this obstacle or that,” Margaret states. Her belief is that anyone can accomplish anything that they set their mind to. “It is up to the individual to make their own path and destiny, and not allow anyone or anything to be their road block to success,” she says. Another way Margaret gives back to the community is by escorting Pearl Harbor survivors in parades in her Indy 500 Pace Car — a 1969 Chevy Camaro convertible. The Koop Group — Kathy Koop and daughters Karrie Koop-Gilby and Allison Koop Rice — is one of the most dynamic real estate teams working on Coronado today. 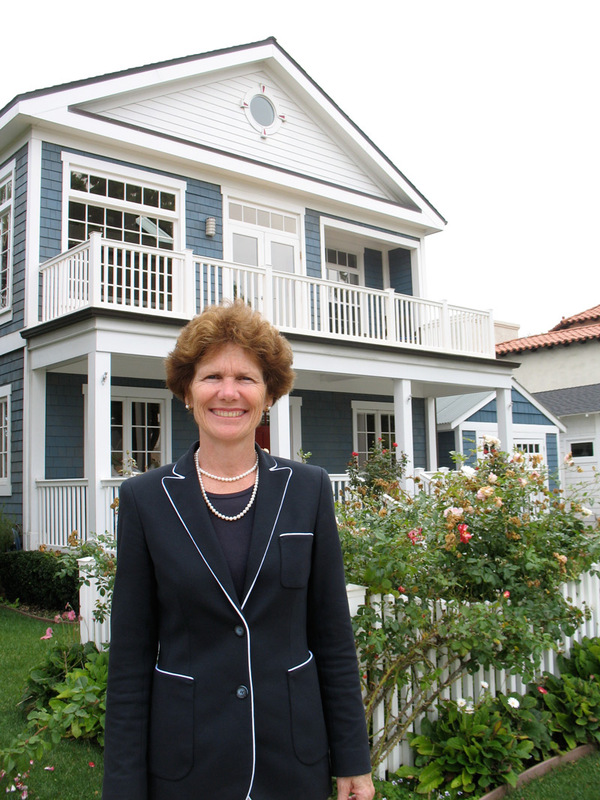 Kathy Koop, who has been selling real estate in Coronado for three decades, has been consistently listed in the top 1% of all Prudential agents in the nation. Kathy and her husband of 42 years, Bob, were living in Solana Beach when they first heard about the new Coronado Cays; they moved to Blue Anchor Cay in 1978. At the time, Kathy was a teacher in the Chula Vista School District, but after 11 years, resigned the profession to enter real estate in Coronado. With a degree from the University of Colorado Boulder’s Journalism School, Karrie joined her mom in 2002, handling marketing and real estate sales. Allison graduated from the University of Southern California’s Cinema School and jumped on board in 2008. Giving back to their community is important to all three women. While donating to many island charities, The Koop Group strongly supports the Coronado Schools Foundation and the annual Christ Church Day School dinner auction. 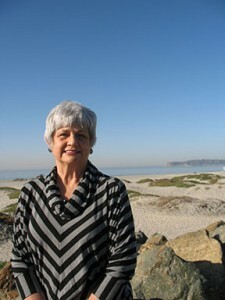 Kathy is a founding board member of Coronado First Bank and was Vice President of the Coronado Association of Realtors. 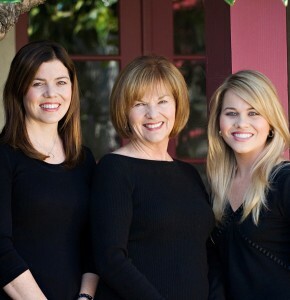 Born and raised in Coronado, Karrie and Allison use their understanding of the local community to match clients with their specific needs, and like their mother, have a penchant for excellent customer service. An insatiable curiosity and passion to share information is what led Leslie to found two web sites, write a book (Coronado, published last year by Arcadia Publishing), and become a Master Gardener. In 2005, Leslie formed WelcomeTo­Coronado.com as a visual, useful, easy-to-navigate online resource, which also gave her the opportunity to learn the process of website creation and provide an outlet for her photography. WelcomeToCoronado.com now has more than 40,000 unique visitors a month seeking information about hotels, real estate, restaurants, beaches, weddings the U.S. Navy and other aspects of life in Coronado. However, Leslie will probably go down in Coronado history, at least for the year 2011, as the Chicken Lady. Yes, it was Leslie who decided to bring two hens home to lay eggs in a well-kept front-yard pen. Alas, she was reported and made an impassioned and pun-loaded plea to the Coronado City Council on behalf of responsible chicken owners. An advocate for the developmentally disabled, Leslie was instrumental in establishing the first adult day program on Coronado through Employment and Community Options, where several disabled adults now work in clerical and delivery services for community businesses while developing life skills. 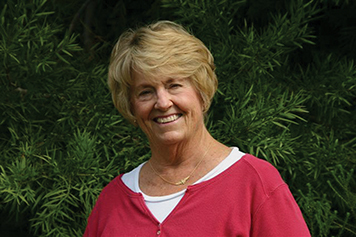 Leslie is a member of Crown and Bridge & Bay garden clubs, chaired the Coronado Flower Show for two years, served as president of Coronado Floral Association for three years, and is a member and past president of the Optimist Club of Coronado. A 45-year resident, Leslie is married to Don Crawford, a Navy SEAL, now retired; the couple have two grown sons. The key to handling all the facets of her life, Leslie says, is to “have fun and have a schedule.” Gardening, walks on the beach, family and friends fill out her days. “I love Coronado, and from that, everything else just evolves,” she says. 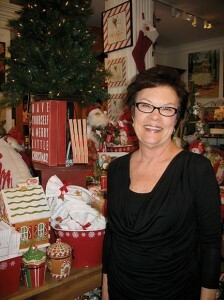 Val’s job is to conceptualize the “Shops at the Del” and the hotel’s lobby shops and merchandise them with products that will appeal to the Del’s well-traveled and sophisticated guests. “We want to create an experience that has magic in it,” she says of the Del shopping experience. By far the most fun is developing new stores, Val says. And that’s where Val’s extensive experience intersects with her ingenuity. For each store, the process begins with “brainstorming,” with the aid of an entire wall of “visualization panels.” She and her team cut out items from magazines, catalogs (her office files are loaded with them) and other sources, and arrange them into categories on the panels that are the genesis of themed sections. One of those good friends is Mary Ann Berta, Val’s former partner at Ribbons & Roses, a retail shop at the hotel, and before that, The Country Peddler gift shops in Coronado and La Mesa. Times have certainly changed but Val’s creativity and business savvy have always been limitless. Amanda McPhail Creative Affairs, Inc.
Amanda McPhail is one of those people “who makes things happen.” She’s been doing that as long as she can remember. Details and organization have always been traits that come to her naturally. Amanda is only 34 years old, but she’s racked up a solid two decades of experience that come to bear on her highly successful firm, Creative Affairs, Inc.
At age 14, Amanda obtained a work permit that allowed her to hostess at Peohe’s restaurant, and she stayed there until she went to college. And, remember the days of paperboys and papergirls? In the seventh grade Amanda had the largest route in Coronado for The San Diego Union-Tribune. Throughout her college years, Amanda worked at Chameleon Café, Bistro d’Asia, handled bookkeeping at the Coronado Golf Course, assisted wedding planner Helen Walker, worked for Southern Hospitality Catering and worked a stint in the catering conference management department at one of Coronado’s resort hotels. On June 26, 2004, she received her bachelor’s degree in organizational development and behavior and started her own company the same day. A member of Coronado High School’s class of 1996, Amanda is married to Chris Russell, class of ’94. In 2007, Creative Affairs expanded when it signed an exclusive contract to market, sell, manage and coordinate all events that take place in “The Ultimate Skybox” at DiamondView Tower. Amanda’s firm operates the 2,500 square-foot rooftop terrace venue with killer views of the San Diego skyline. She’s arranged functions there for the Coronado Chamber of Commerce where she currently serves on the executive board of directors. Amanda strongly believes in giving back to others. Over the years, she has committed herself to donating her services to various nonprofits. By organizing charitable events, she has helped raise thousands of dollars, which justifies to her that she is in the right place and career. Incorporated this year as Creative Affairs, Inc., Amanda’s firm handles all types of events — weddings, corporate events, grand openings, product launches, fundraisers, you name it, the firm will make it happen… beautifully. Creative Affairs, Inc., has grown to a team of “nine amazing women,” as Amanda calls them. “If it weren’t for each and every one of them investing themselves and taking pride in what they do, we would not be who we are and what we are about,” she attests. Amanda credits the “love and support from so many in Coronado” for helping her become the person she is today and for showing her what a true family is. “I am so grateful,” she says. Caroline attended art school at San Miguel de Allende, Mexico, where she learned lithography, painting, silverwork and weaving. She received a bachelors in fine arts at San Diego State University, then apprenticed with a Coronado interior designer, Wessie Davis, a graduate of the New York School of Interior Design. “That’s really where I learned it all, with Wessie,” says Caroline. “She exposed me to antique auctions in Los Angeles. We would buy there and provide amazing things to our clients. I learned about wonderful Fortuny fabrics; Mariano Fortuny was a designer at the turn of the century, the 1900s, that is. His designs were printed on long-staple Egyptian cotton. He also invented the pleated silk dress that Mary McFadden does today. Murray is also a fan of Fortuny light fixtures and has installed them in several clients’ homes. Today, it’s travel that gives her continuing inspiration in her design work. She spends about five weeks a year in Hong Kong and knows the city and its districts like the back of her hand. She spent two years visiting Shanghai, where she had custom furniture manufactured for one client. She also loves Venice, Italy, and has discovered a new favorite place: Angkor, Cambodia, where she made a recent trip to study the art and architecture of the region’s huge temple complex. Caroline has been a member of Coronado MainStreet’s board of directors for 15 years, arriving at 6 a.m. each year to set up tables and linens for the annual MotorCars event and assisting at the annual garden party. 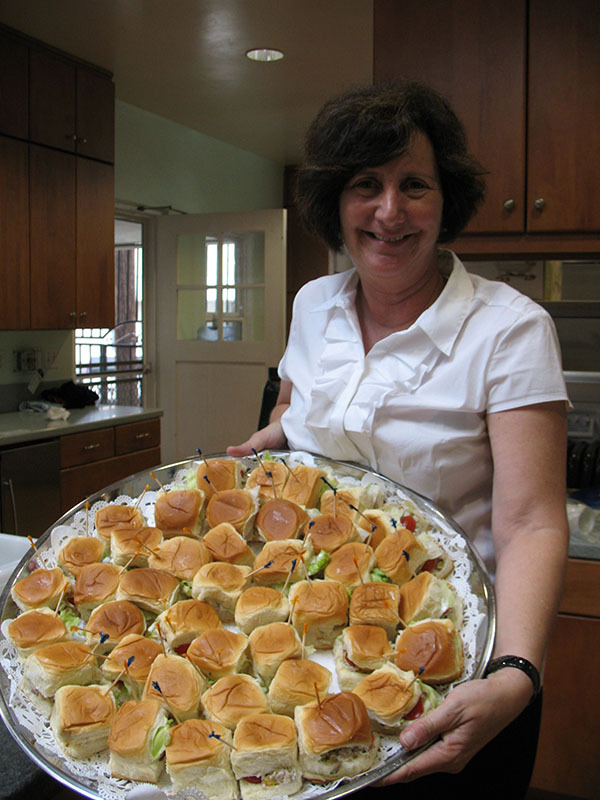 She’s also a member of Coronado Historical Association where she serves on the culinary committee, assisting on all grand opening events for shows and the annual Spreckels Society events. There have been a lot of “firsts” for Wendy McGuire, the owner/operator of Coronado’s first home-delivery service of fresh, local, cooked-from-scratch meals, Ganosh Gourmet. The daughter of Drs. George and Blossom Sanger, Wendy graduated from Coronado High School at age 16, and Whitman College in Walla Walla, Wash. at 20, then considered two jobs: flight attendant for Northwest Orient Airlines or department manager for high-end department store Bon Marche. She chose the latter and then kicked herself for passing up the opportunity to travel. “I felt there was something more important in life than nail polish and lingerie,” she reflects. So she enlisted in the Army. “It was partly to give back to my country, partly to learn management skills and, well, a little for the shock value,” she admits. Wendy chose the Army because it was the first U.S. military service to allow women into non-traditional fields, such as artillery. Wendy was among the first four women commissioned in air defense artillery and the first female honors graduate from Army Officer Candidate School at Ft. Benning, Georgia. She was in the Army and Army Reserves for 31 years, retiring as a colonel at age 53. She also had a parallel civilian career, working in the financial services arenas, earning two masters, one from Boston University in business administration and the other from Army War College in strategic studies, and serving as the first planned giving officer for the Bishop’s School in La Jolla. creations; soldiers starting hovering around. It was a high point of the day for them. Wendy retired as a colonel in 2009 and knew what her next venture would be: she would make nutritious and delicious meals, and share them with her Coronado community. Carrie O’Brien can tell you a thing or two about homebuilding. And football. She and husband John O’Brien own Flagship Properties, a premier Coronado homebuilder whose signature look has come to epitomize what consumers want in a Coronado home: Great rooms with kitchens that flow into entertainment areas, outdoor space and porches to enjoy Coronado’s great year-round weather, and lots of light. There’s also a distinct nautical flair about most Flag­ship homes, many of which bear a handsome brass nameplate. Carrie’s father, Bill McColl, was a former NFL player, who played eight years for the Chicago Bears while he attended the University of Chicago Medical School, later serving as a medical missionary to Korea. One of Carrie’s brothers played seven years for the San Francisco 49ers while he went to Stanford Medical School and her oldest brother played a year for the Washington Redskins. Both brothers played for Stanford and “We probably went to football games every weekend,” Carrie recalls. Carrie, too, is a Stanford alum. She also holds an MBA from UCLA and a Masters in psychology from Fuller Seminary in Pasadena. The O’Brien’s children are graduates of Coronado High School, where they played lacrosse. “John’s East Coast influence,” Carrie explains. Carrie’s son is a student at Stanford while her daughter attends Wheaton College. Carrie’s background includes corporate and merchant lending with Security Pacific Bank and 10 years of running an events company in which she organized numerous high-ticket events and fundraisers “including lots of dinner auctions,” she recalls. She is a past president of the board of UCSD Cancer Center and has served on the boards of Starlight Theatre, Patrons of the Prado, which raises funds for Balboa Park and the Coronado Real Estate Association. 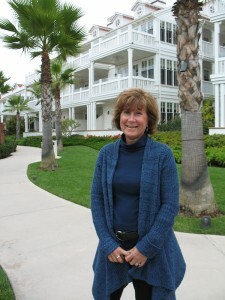 She now serves on Coronado Historical Association’s board. Carrie handles all sales and marketing activities of Flagship Properties and its construction arm, Flagg, Inc., and works with buyers and sellers of residential real estate in Coronado and surrounding areas including Point Loma and La Jolla. Her inspiration in life comes from “my family, my faith and being involved in the community,” Carrie says. She looks back and laughs as she remembers how it came to pass that she became part of the Coronado community. They are often greeted by Moses, a Great Dane-Weimaraner mix rescue dog, or Cookie Monster, a poodle-schnauzer who Melanie rescued through PAWS of Coronado. Melanie, who admits she had “absolutely no retail experience,” had a vision on how she would build on what Scott and Heather had created. She would bring in the best quality pet products that went “beyond boutique” and sell them at a fair price. 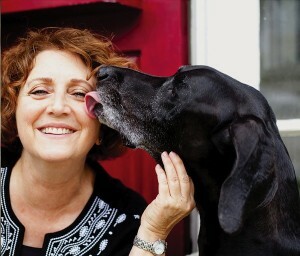 She would educate people on health and wellness for their pets, and introduce the best nutrition products available. As a former space planner with 29 years experience, Melanie knew how to design the space to make it inviting and attractive. “And my corporate experience taught me the importance of customer service,” she notes. “I feel so fortunate,” Melanie says of her eight years with Wag’N Tails. “The pet industry is a $50 billion industry, one of the fastest growing, even in this economy. Back in 1989 on a relatively “warm” Wisconsin day, with the thermometer topping 36 degrees, Suzanne Popp, DDS, a graduate of Marquette University’s esteemed dental school, decided it was time to pack up and follow the sun to California. She discovered Coronado, where she bought Dr. Drazek’s practice just behind Union Bank. “I can’t believe it’s been 21 years,” says Suzanne. It’s been a jam-packed two decades for Dr. Popp, who prides herself on offering cutting-edge technology and is always looking for new efficiencies that will provide her clients with the best outcomes in cosmetic and general dentistry. Recently she returned to performing implant dentistry including the surgical aspect of it. Suzanne, who joined Rotary Club of Coronado shortly after her arrival, served as the first female president of the club in 1999. Through Rotary, she organized two international grants for computers to schools in Uganda and Swaziland, and personally visited those schools to supervise their installation. “In Swaziland, those 31 computers meant that those children, many who had lost parents to AIDS, would have a leg up on getting a job when they graduated,” she said. She has also worked with Rotarian’s to aid in projects in MissionVale in South Africa. Suzanne has also hosted participants in two Group Study Exchanges, organized Oktoberfests, and served as Rotary liaison for both Coronado middle-school and high-school students. Suzanne’s daughter, Natalie Bailey, is following in her mom’s footsteps at Marquette where she’s enrolled in the pre-dental scholars program. Son George Bailey is a senior at Coronado High School and is looking into engineering schools and plays varsity lacrosse. 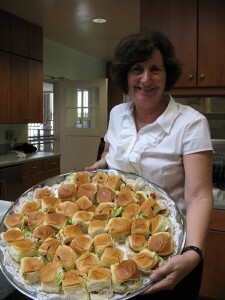 Suzanne enjoys traveling the world, comparing and contrasting religions, cultures, food and people. She’s been to India, the United Arab Emirates, Burma, Bali, Japan, South America, Belize, Costa Rica, Egypt, Morocco, all through Europe, Jordan, the Maldives and just returned from Thailand. They’ve been best friends since fourth grade at Coronado’s old Central Elementary School. Now that friendship has blossomed into a full-time business for Katherine Lohlein Farley and Kristy Pierre: Root 75 Flowers and Home is a breath of fresh air on Orange Avenue (aka Highway 75; get it?). Root 75 provides beautiful arrangements for weddings and other special events, as well as distinctive floral arrangements. Throughout high school, Katherine and Kristy were active in student government and served as class officers. And almost as a precursor for their special-event work today, the duo planned proms, homecoming celebrations, Fourth of July fundraisers and one memorable class project: making smoothies at the IB Sandcastle Days. “That was the worst,” Katherine groans. Kristy earned a bachelors in finance from San Diego State University and married her high school sweetheart, Andre Pierre. She worked for the Coronado Brigantine for ten years and, after graduation from SDSU, for Union Bank in San Diego and La Jolla. When Noah, 5, and Lucy, 2, arrived, Kristy returned full-time to the homefront. Meanwhile, Katherine earned a degree in humanities and art history from the University of Colorado in Boulder. After repeated visits to The New Leaf floral shop in Chicago, Katherine gladly traded in her advertising desk job for a pair of floral scissors. In Chicago, she met and married Brendan Farley and the couple soon moved to New York City, where Katherine was head designer and shop manager for Renny & Reed, one of the city’s most respected floral and event-planning companies. After three years in the Big Apple, the Farleys decided Coronado was where they wanted to settle and raise a family; they now have 2-year-old Wren. In short order, Katherine and Kristy were working together again, providing florals for weddings and special events. As their reputation spread, so did their need to expand their home-based business into a retail space. No problem: two supportive husbands made it happen: Andre, the second-generation owner of Island Carpets, and Brendan, now shop foreman at Lamb’s Players Theater, remodeled the carpet store into one bay, providing Root 75 its own bay. 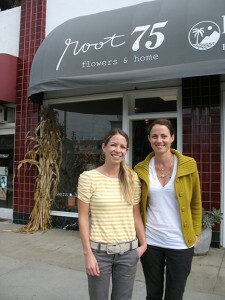 “We have a nice synergy going between the two businesses,” says Kristy. From a very young age, Jamie Signorino knew she wanted to go into dentistry. Jamie was in eighth grade when she began her “training” in the dental field. Guided by a wonderful dentist, as well as her cousin who was a dental assistant, Jamie worked weekends and summers as a dental assistant through her high school and college years. She did her undergraduate work at UCLA and credits Dr. Patrick Turley, the former head of UCLA’s orthodontics department, as her inspiration for entering the field. After seeing some of his phenomenal work with trauma patients, she knew that orthodontics had the ability to change people’s lives, and in some cases, to give them back their lives. Dr. Signorino received her DDS and MSD from Case Western Reserve University in Cleveland in 1995 and 1997 respectively. 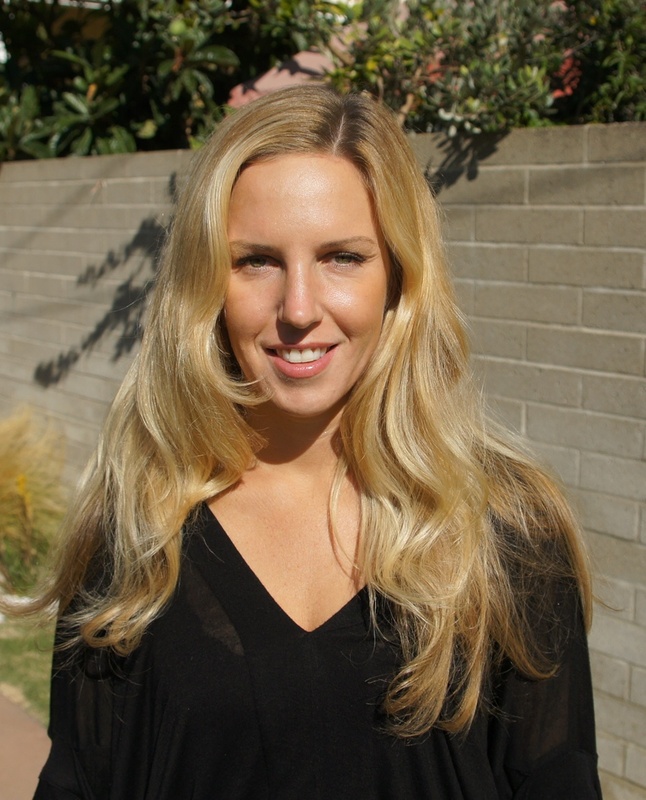 Upon graduation, she moved to La Jolla where she purchased an existing practice. Two years later, she served as president of the San Diego Academy of Orthodontists, an organization of more than 100 members who meet for lectures on continuing education units. She loves the effect orthodontics has on changing a person’s self-confidence. “It’s fantastic to see the change in someone who doesn’t smile and hates their teeth blossom into someone who is always smiling,” she says. She loves removing her patients’ braces to reveal the final results. 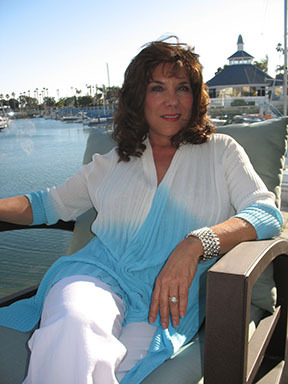 With half of her patient base hailing from Coronado, Dr. Signorino established a Coronado office in 2010. She spends two or more days a week in each office. Dr. Signorino’s husband works for NASA’s Ames Research Center at Moffett Field in Silicon Valley. “I’m going to be speaking to a class of kindergartners about dental care shortly. But as soon as those kids hear that my husband works for NASA, they’ll only want to hear about all the space stuff. Happens every time!” she says good-naturedly.